On October 7, Sony released the racing game Driveclub for PlayStation 4. Today, October 28, the game still doesn't work as intended—and Sony still hasn't said a word about refunding the folks who paid $60 for it. Driveclub's server problems have been well-documented. 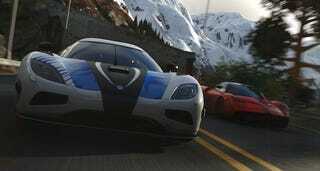 For the past three weeks, players have found themselves unable to access many of the racing game's features; though Driveclub does have an offline mode, its biggest selling points involve connecting with and racing against other players, fighting for ranks as you try to climb the game's various social leaderboards. Multiplayer is even in the name—Driveclub refers to the clubs you can form to play with other people. So for 21 days now, the game has been essentially crippled. Three weeks! We'll keep you updated as the Driveclub Disaster Watch continues.